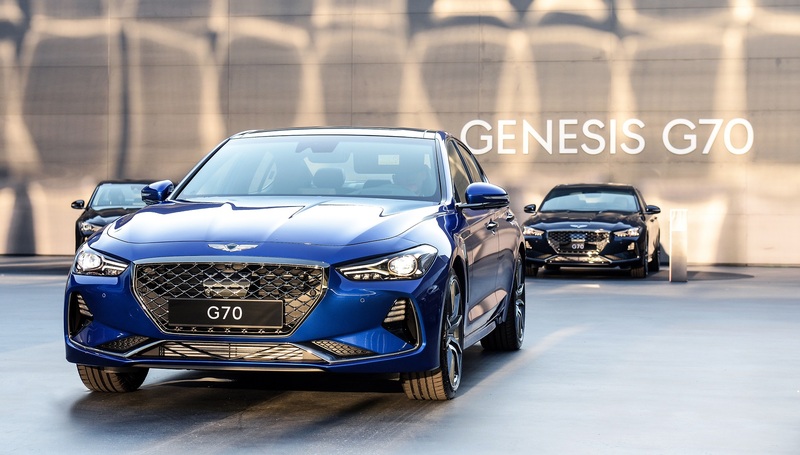 Genesis has finally taken the wraps off of the G70, its answer to cars such as the segment-defining BMW 3 Series, Mercedes-Benz C-Class, and Audi A4. 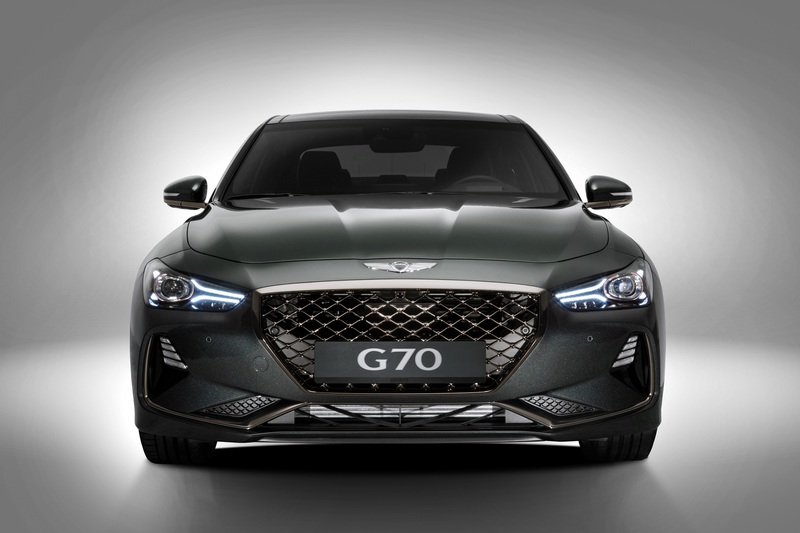 It's the latest entry in a growing list of vehicles to "take on zee Germans" for luxury sports sedan supremacy—a list that consists of some solid offerings from Cadillac, Lexus, Infiniti, and Alfa Romeo. 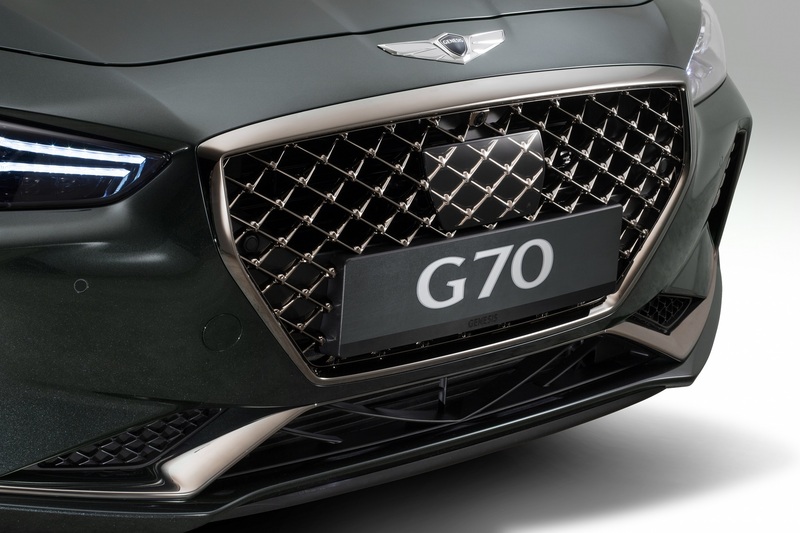 Even among a field of attractive 3 Series alternatives, the Genesis G70 here is properly handsome and distinct enough to aesthetically hold its own. 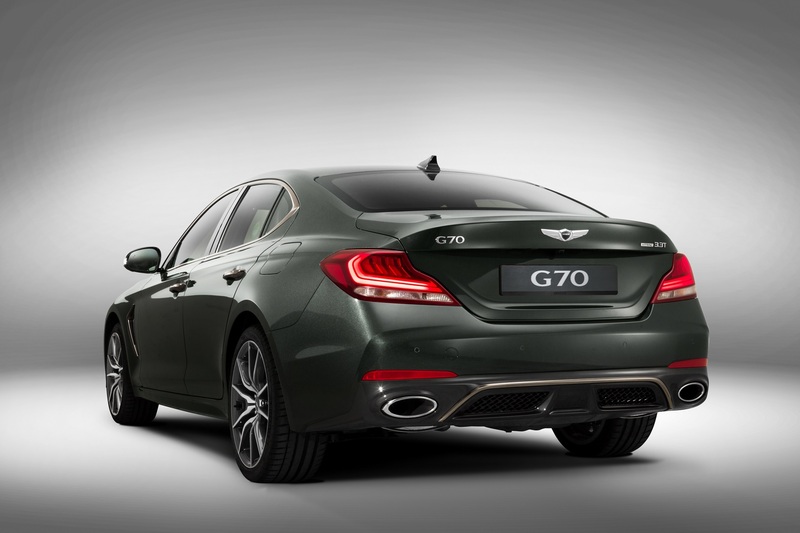 Under the hood, the G70 can be had with either a 3.3-liter turbocharged V-6 producing 365 horsepower and 376 lb-ft. of torque or a 2.0-liter turbocharged four-cylinder providing 250 horsepower and 260 lb-ft. of twist. A 2.2-liter diesel model will also be available in its home market of Korea, but don't hold your breath for that car to land on our shores anytime soon. 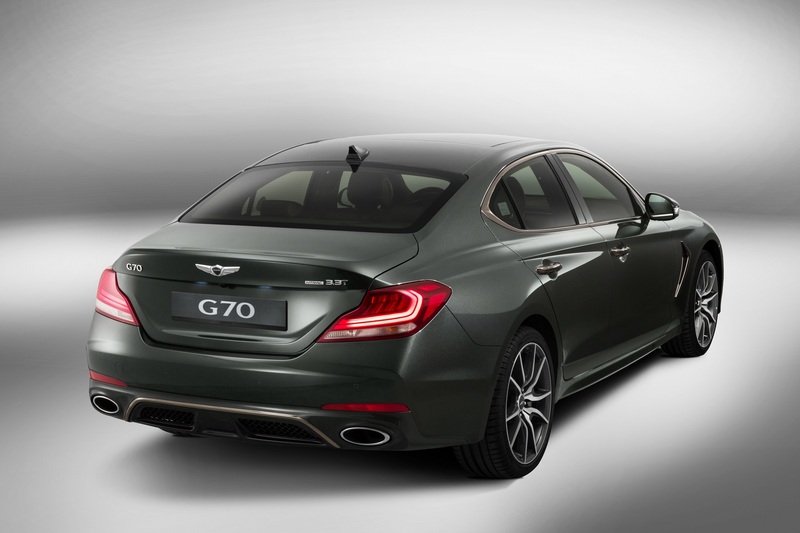 All G70s, regardless of powerplant, are available in the customer's choice of rear- or all-wheel-drive. 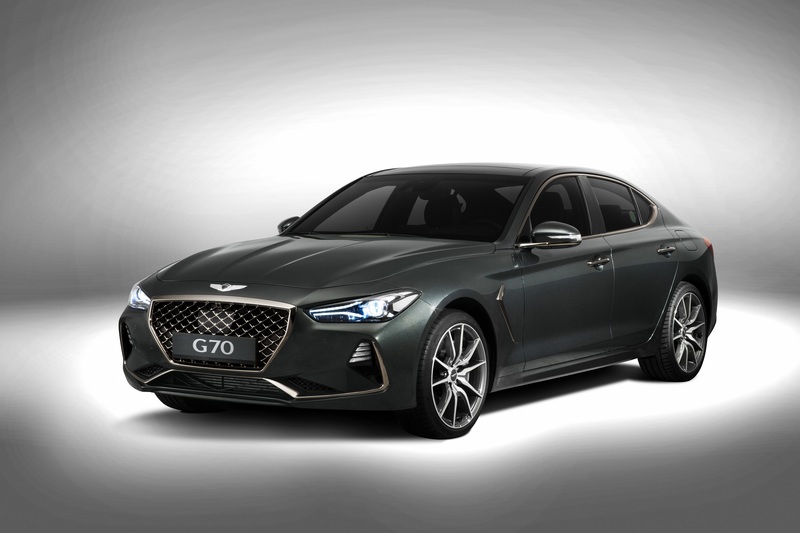 The model most enthusiasts will be interested in is probably the G70 Sport which, uh, sports the V-6 turbo, gets from 0-62 mph in 4.7 seconds, and can hit a top speed of 168 mph. The Sport also comes standard with variable-ratio steering and electronically-controlled suspension for when the road gets twisty. Other hoon-friendly features include launch control, dynamic torque vectoring, and a mechanical limited-slip differential. Whether these go-fast accessories come standard on the Sport or are available as options is currently unclear. Despite this, don't think Genesis has completely skimped on the tech goodies. 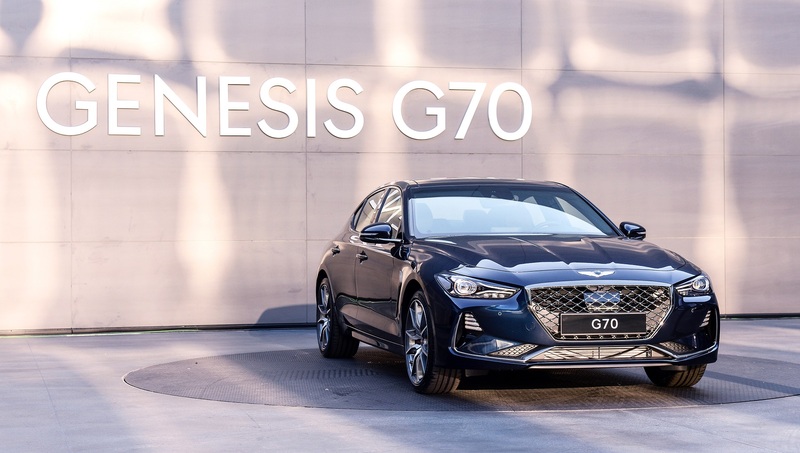 The G70 comes equipped with an 8-inch infotainment screen with Apple CarPlay and Android Auto, all of the active safety alerts and warnings you'd expect out of a luxury car built in 2017, and Genesis's "smart posture control system," which takes information on the driver's body and adjusts the seat, steering wheel, mirrors, and HUD accordingly. 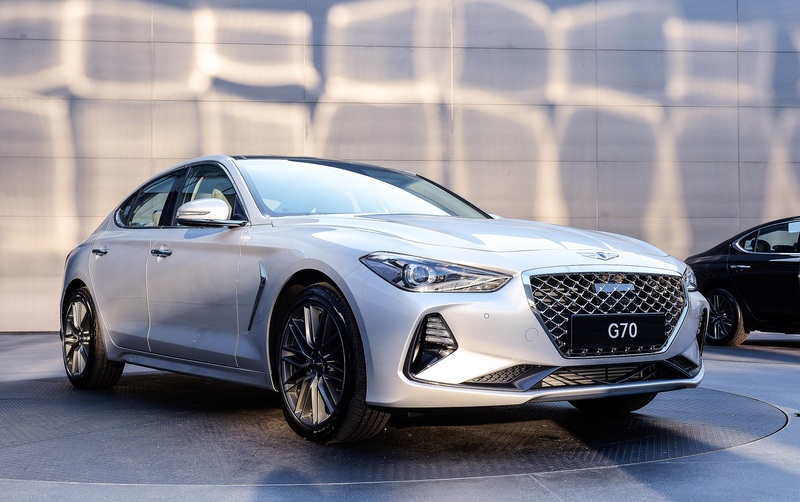 Sharing a platform with the Kia Stinger, the Genesis G70 is set to go on sale in Korea on September 20th. Pricing and overseas release information is expected to go public in the coming months.